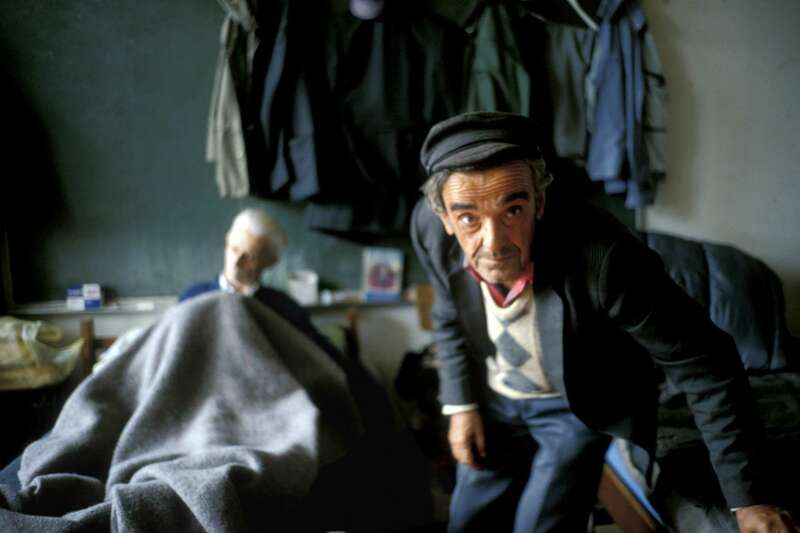 Serb refugees live in a schoolroom being used for \"temporary\" housing. After the end of the war, \"collective centers\" were set up all over the country, in schools, gymnasiums, old warehouses and other spaces to house tens of thousands of refugees. The centers were meant to provide shelter for three months only, but in 2000 -- five years after the end of the war -- more than 10,000 people were still living in extremely difficult conditions in these centers. October 2000.